Former boxing legend Barry Michael will make an exclusive appearance at the MDA Friend Raising Evening at the Crown Entertainment Complex on Wednesday 20th June. The event is being held to support the MDA and raise awareness of this devastating, muscle destroying disorder which affects one in every 1000 Australians. Barry faces his toughest battle yet, as he enlists the help of business, corporate and community leaders from across the region, to join the fight against muscular dystrophy. He even has a surprise in store for one lucky person – let’s just hope they have a strong left hook! 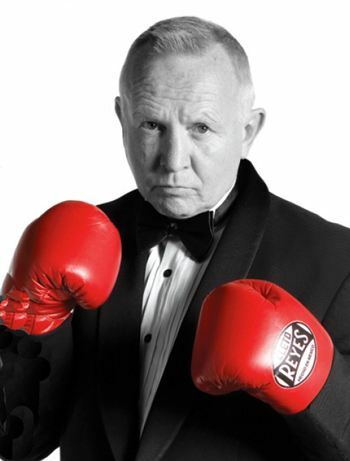 As well as learning more about muscular dystrophy and the groundbreaking work of MDA, guests will experience a night to remember with live entertainment provided by the Andy Grant Duo Band, a silent auction and an array of prizes including ‘a grueling hour in the ring with Barry’ generously donated by the boxing legend himself! This event is by invitation only, but spaces are available to any business, corporate or community leader from across the region who may be interested in attending this event and supporting the MDA. To book a place contact rsvp@mda.org.au or ‘phone the MDA on 03 9320 9555.